More than half of America's pets are struggling with their weight. 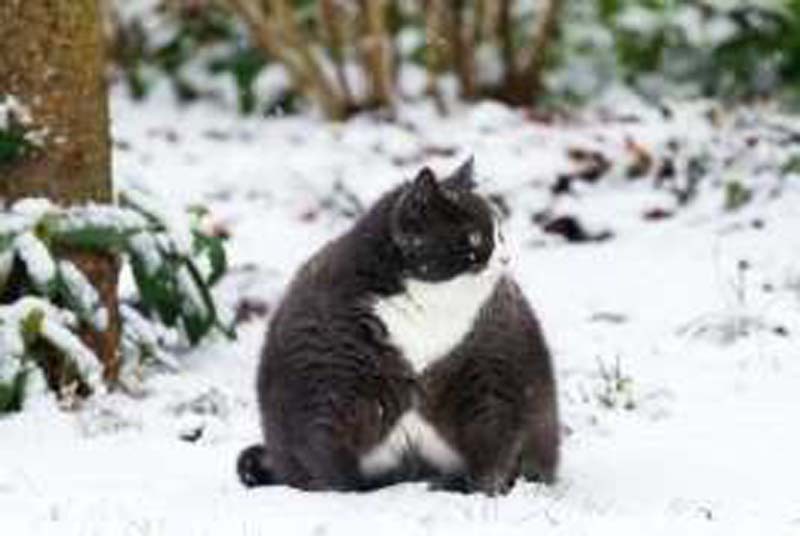 According to a recent report from the Association for Pet Obesity Prevention (APOP), 60 percent of the country's cats are overweight—and dogs aren't faring much better, with a 56 percent obesity rate. These dire findings, which analyzed data from nearly 200 veterinary clinics across the country, means that an estimated 56.6 million cats and 50.2 million dogs are carrying around a lot of extra weight—and it's a growing problem. While 58 percent of the pet owners questioned as part of the study claimed they had tried to help their pets lose weight, exercising one's pet seemed to pose the biggest challenge, with 25 percent of the respondents claiming that they were "too busy" to give their furballs the exercise they may need. Behavioral issues, lack of access to a place to exercise one's pet, and the pet parent's own physical limitations were among the other reasons cited. But even noticing that your pet has packed on a few too many pounds could be a major part of the problem. "In part, it’s an issue of perception," Dr. Justin Shmalberg, service chief of integrative medicine at the University of Florida’s College of Veterinary Medicine in Gainesville, toldThe New York Times. "Generally, the public is more tolerant of obese animals than they are of thin ones. There’s not as much stigma with animals being overweight as with people." In fact, for many pet parents, Dr. Shmalberg said that chubby pets are often seen as being cute. In a separate story, pet experts told The Washington Post that many owners are feeding their fur babies too many treats, and larger cat and dog bodies have been "normalized" in recent years. However, obesity is a major health concern in pets, just like it is for humans. "Many pet owners don't quite understand that their pet is overweight," says Kirk Breuninger, a veterinarian and member of the Banfield Pet Hospital's research team, which conducted its own study on pet obesity in 2017. If your pet could stand to shed some excess fat, Breuninger recommends bringing them to a vet first. In addition to being great for Fluffy or Fido, spending time with your pet can do wonders for your own physical and mental well-being.